The team received a call this evening to reports of flashing lights in the Scafell area. The team were put on standby; however after talking to the informant and a team member investigating from the valley floor it is believed to be a false alarm with good intent. 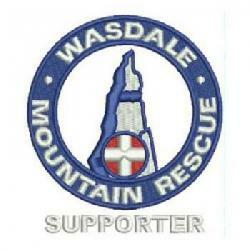 We were called by Police about a group of 3 walkers who’d reported themselves lost whilst descending Scafell Pike. Using PhoneFind their position was established as being near Broad Crag Tarn. The team leader then provided directions over the phone and they made their own way off the mountain. We were called by Police about a walker reported overdue from a walk up Scafell Pike. Fortunately the walker returned, safe & well within an hour of being reported and we stood down. We were called by Police about a walker reported overdue from a walk towards Burnmoor Tarn (and presumably onto Scafell) from Boot. They ended up making their own way off the fell, the walk talking a bit longer than originally anticipated. We were called by Police about a walker suffering from a Migraine attack and struggling to make their way off the fell. In the end they made their own way off without team assistance. We were called by Police about 2 walkers reported overdue from a walk up Scafell Pike. They turned up safe and well soon after the initial report and we stood down.